Fish are a lot like the element they live in. Their bodies are pliable. They have skin covered with scales reminding us of the surface of water when it is touched by the wind. Even the way their skin reflects light can remind us of the wondrous effects that appear where light meets water, and there is movement between the related elements of water and air. Fish do not carry their offspring inside themselves but let it trustfully mature within the water element, which is connected to the wholeness of water on the planet. No other being seems to be so little separated from the element it belongs to like the fish. But at the same time they are distinct living beings with will power, their own way of understanding and with by the lack of lungs somewhat restraint but none the less real emotions. Imagine our whole planetary system in a state that is similar – swimming within divinity, denser than its surroundings but still very alike… physical, while on the other hand totally mirroring the divine. Imagine this as a first state of existence, which will evolve towards the state of our world now, with its high density and its high degree of differentiation. The theme of the sidereal Pisces is the beginning of all beginnings, the birth of the physical world out of the divine, the transition from a pre-logical state beyond time and space to a world of time and space, helt together by laws, that appear within us as the idea of the world containing all smaller ideas within its interconnected whole, permeating the world of perception. Let your soul dive into this holy mystery each morning during this period of the Pisces, who unfold their divine energies behind the sun, who takes them in, translates them and sends them towards us. 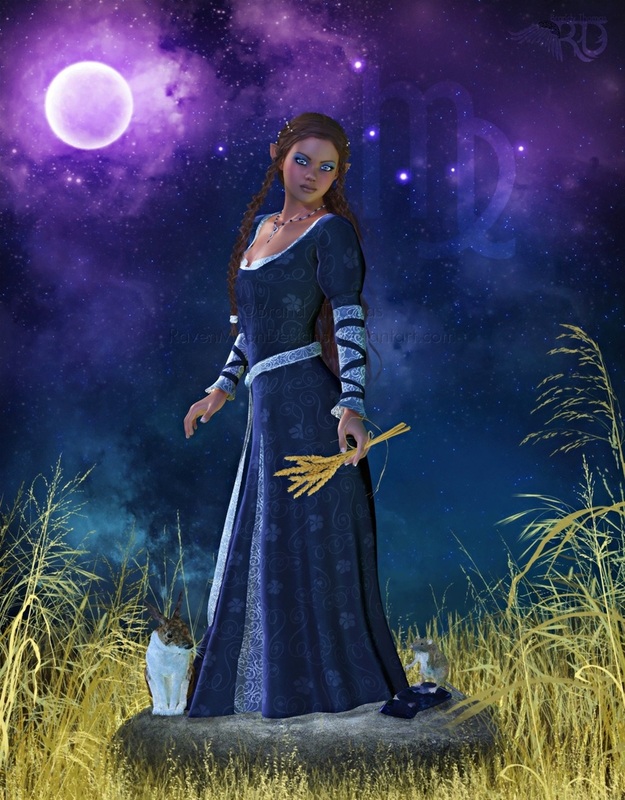 Aquarius, the water-carrier has his starfield behind the sun from the 16th of February to the 11th of March. Meditating on the quality of the suns light in the morning we can open up to the energies Aquarius wants to give us, talking to us through the gate of the sun, and we can send our appreciative love towards Aquarius and the principle of life he is governing. There was a period in very old times when life was touching the physical world for the first time and began to be incorporated as a new universal principle into our world. The tides may be an outer sign for it, the fact that the air pressure has two minima and two maxima in the course of one day might be connected to it, but the basic phenomenon is the plants' rythm between times with little or no water and times with a lot of water, between unfolding and maturation. The energies of the water-carrier organize the water into a healthy rythmic pattern. From there we can transfer the principle to other areas: The rythm of being awake and asleep, of work and rest, of being together and being alone, of taking in impressions and digest and integrate them a.s.o. 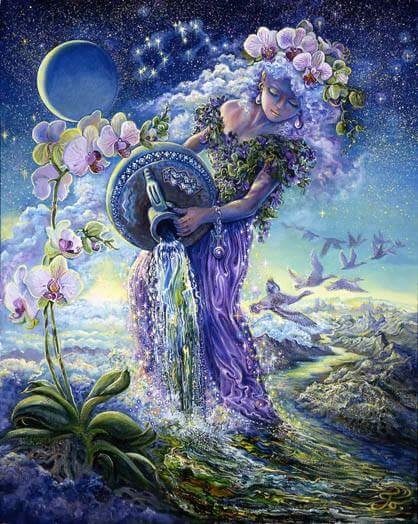 The cosmic aquarius is the carrier of cosmic life energy, like a gardener on earth brings the water as a carrier of earthly life energy. The original abundance of all kinds of biotopes is an expression of the Water-Carrier's art of creating synergetic life by balancing all kinds of qualities in a rythmically structured whole. We can get a lot of inspiration and support from this kind of living wisdom and power, and we can give something back by looking at how these healing rythms take effect in the world and permeating what we see with our gratitude, love and affirming power. This is best done in a meditative effort around dawn. The stars that really are behind the Sun in our days are – as widely known – not those which our usual astrological dates indicate. 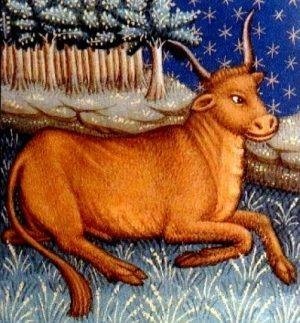 “The Capricorn” for example is usually said to govern the time from the 21st of December to the twentieth of January, but the stars “the Capricorn” is composed of - seen from Earth - are behind the Sun from the 19th of January to the 15th of February. That is so because western astrology has held on to a position of the stars which was real in the first centuries and which is ideally attuned with the seasons in the northern hemisphere, and also - you get valid horoscopes that way. Eastern astrology on the other hand includes often the fact that the stars behind the Sun are very slowly changing their relationship to the seasons. Some have tried to use the western signs in a way that includes this very slow process of change. The following considerations are made on the basis of inspirations Rudolf Steiner received from Christian Rosenkreutz. In these inspirations Earth's evolution and the development of a complete human being with individualized body, soul and spirit are seen as interconnected. “The Capricorn's” stars are behind the Sun from the 19th of January to the 15th of February. The Capricorn is here not seen as an abstract twelfth of the whole circle. It is seen as a gift of qualities and energies sent towards us from a fixed direction in Space (not from a fixed place) which is indicated by the stars of “the Capricorn”. So – what is sent towards Earth then? “The Capricorn” sends the third main quality in a row of basic natural qualities: It kicks off the wonderful occurrence of the soul in the earthly body, in a way that still can be seen within the animal kingdom: The quality of emotion that just is, of insight that just occurs, of will-power that is integrated into its surroundings. There can be deep wisdom in the eyes of animals, but it is given, not conquered in an individualized process, leading from not understanding to understanding. There are deep feelings in animal souls, sometimes even compassion, but it doesn't seem to be dependent on inner maturation and it seems to undergo relatively little change. There are huge powers of will at work within the animal kingdom, but the will of the individual animal is to a very high degree bound into its species, unless an animal develops a strong relationship to a human being and absorbs the human will into its own. “The Capricorn” inserts the soul principle into the material world, while still holding back the principle of human individualization, which is received from "Sagittarius". 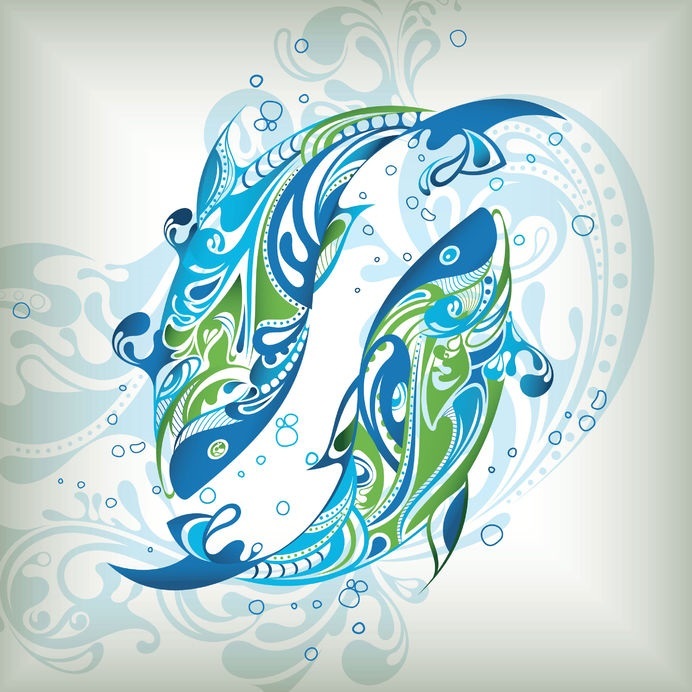 "The Capricorn" takes the wonder of a compressed material world, “swimming” in the great sea of universal energies, which “the Pisces” have given as a prerequisite. It takes the rhythmical waves of growing and withering, which “the Aquarius” has given as another prerequisite. 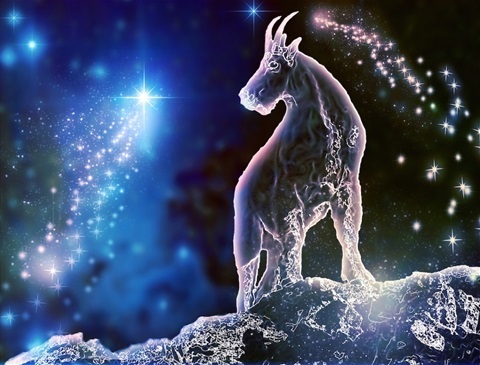 "The Capricorn" lifts the bodily evolution to a new level, helping to evolve bodies that are the right tool of movement and self-revelation for beings that include the soul-principle. The enormous capabilities of climbing and descending that manifest in the capricorns on Earth are here working at a cosmic level, as a part of the creative “Word of God”. Build your own meditation around this, preferably around the time of sunrise, imagining the qualities of "the Capricorn" as potent within the sunlight while actually feeling the light of the Sun, which "the Capricorn" is backing. It will connect you to these qualities and allow the angels to use them to strengthen the soul quality inside you and to teach you how to use it for your own and the world's best. In ancient times under the influence of the beings and energies of the centaur the human being found for the first time it's upright position, like each single human being does now towards the end of its first year. By leaving the position parallell to Earth's surface and the spheres of Earth's atmosphere and taking up a 90°-position to them we gain a larger independency from Earth's lower energies, rejecting the sole dominance of gravity. Instead we enter the vertical energies, which, although the stars are all around us, make us able to function as a link between the World of the Stars and the center of the Earth, with a certain independence from both of them, which gives us a close relatedness to the energies of dawn and dusk. It also allows us the use of our arms and hands in a way impossible in an animal state of being, a way that might well be called the foundation of all genuine human work and civilization. That does not make the animal spirits less evolved then us. We are talking about the evolution of the vessel, the body. Animals and humans have parted ways at earlier stages, but the animal spirits are just as human as we are and often wiser because they haven't descended so deeply into there bodies. The gesture of Sagitarius is not the upright position, but the way there: The force of liberation, of overcoming gravity, of becoming able to live with a new equilibrium standing on Earth only with our rather delicate two feet. This act of finding the upright position, which must have been a decisive evolutionary act, without all the ridiculous half-upright positions in between, that older science has assumed, is the foundation of our self confidence. We should therefor allow small children to find the ability of standing and walking on their own, and avoid helping them to get there. In this modern life we need all the self confidence we can get. Each time we need to liberate ourselves from heaviness, caused by opposition, by fatigue or desparation, even trauma or depression, this basic self confidence can help us. It helps us to find back to ourselves, to regain our power and stand in it, to resurrect our freedom, love and creativity. Let your eyes read the light of the sun as it is perceived and reflected by Earth's various surfaces during this period when Sagitarius is behind it. Use the time around sunrise to meditate about it. You will open up your spirit and soul for the angels to convey the intuitive wisdom and inspirations you need to understand and it will strengthen the Sagitarius energy within you. The scorpion is pointing back to an important moment in the evolution of earth and mankind - a transition during which the human being was deprived of the possibility to give birth to it's own offspring on it's own. Instead the energies of propagation of the human being were dispersed and the unitary androgynous human beings were physically transformed into unilateral beings, only manifesting the feminin or the maskulin part of creative forces. While this was a great loss, it was also a great chance, opening up a whole new realm of evolution. - There was and is the richness of experience, that comes with the various ways in which two human beings find togetherness, the ways they have come together throughout history, to make it possible for a new human being to walk on Earth. But there is also much more. - The part of creative forces, that was not physically used anymore, was set to work to produce the cerebrum, the organ of physical selfawareness and selfaware pursuit of the truth - a pursuit, that in it's slow fully conscious steps cannot compete with the older clairvoyance in capacity or speed. It is however suited to bring forth and empower the selfaware center of the human personality and allows it to ally itself with the truth of the universe in small acts of freedom. 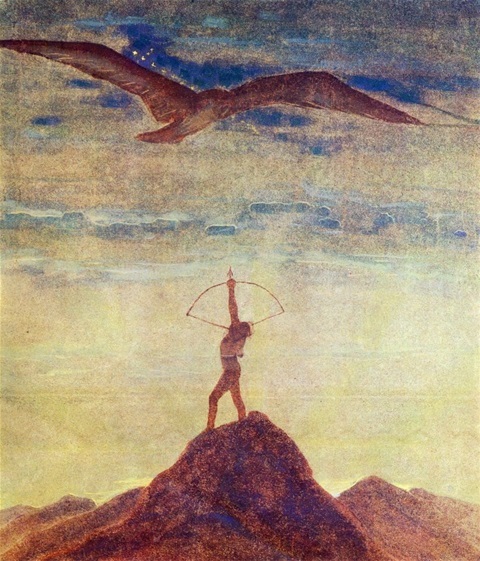 🔹 The loss of clairvoyance, which gradually follows the seperation into genders, becomes thus the basis for the birth of the most wonderful secrets of human beings: Our freedom, our use of the word "I" and our ability to open up this "I" to the voice of the angels, to a clairvoyance which is now carried by selfawareness and carries the gift of love. 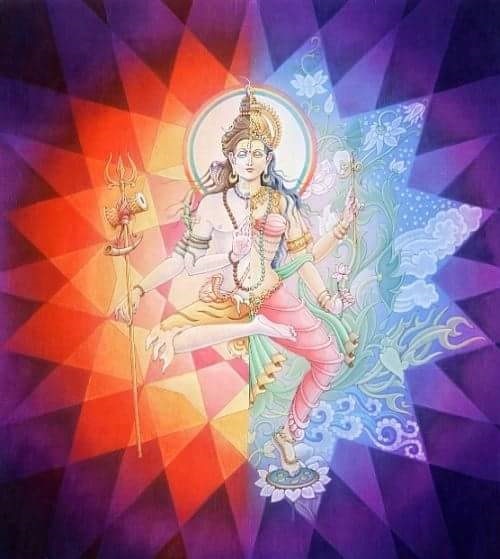 - The seperation into genders and the birth of a consciousness able to make considerations also starts up the process of reincarnation and karma for the individual soul. The unilateral experiences as a woman will usually lead to an inkarnation as a man and vice versa. But karma gets of course much more individual and complicated. 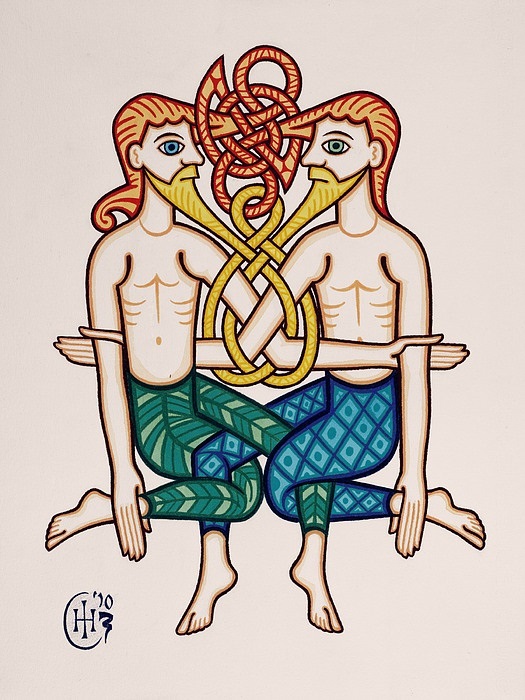 The Serpent-Baerer (Ophiucus) is seen as a healer, as the one who is able to transform the serpents poison (or maybe even the scorpios poison) into a remedy to heal illness and sometimes even reverse death. 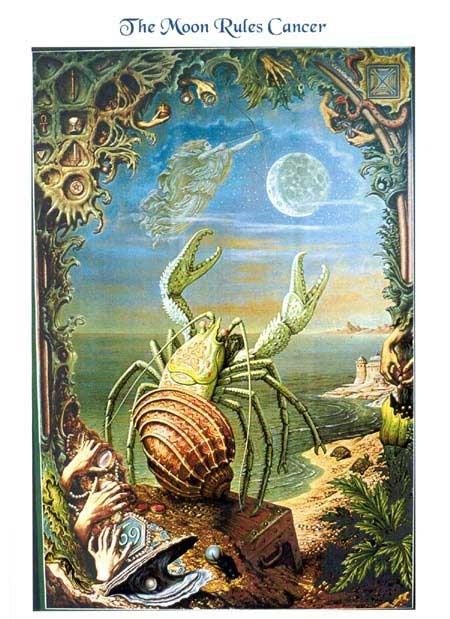 In our time we see the beginning of a huge effort, to transform the poisonous forces of karma, that push us towards conflict and war, into a field of learning for all of humanity, to unblock the paralized clairvoyant abilities of the ancients and unite them with the newborn life we have gained in the long period that was initiated by the powers of the scorpion. The choice between letting oneself guide by the accumulating forces of untransformed karma on the one side and entering the arena of healing and learning on the other side, seems to be the fundamental choice of our age. Though it seems clear where this has to go, it is not going to happen without full commitment and a lot of love, hope and faith. Before the time comes in which the seperation into genders wll be overcome and the human being regains it's full creative powers, the darker forces of karma will have to be cleansed and transformed. Let your eyes read the light of the sun as it is perceived and reflected by Earth's various surfaces during this period, in which scorpion and serpent-bearer are behind the sun, having their energies translated and amplified by it; use the time around sunrise to meditate about it - and you will open your soul's door for the angels to convey the intuitive wisdom and inspirations you need. Libra (scales) in the sidereal zodiac - october 30 - november 23. The sun is in the above mentioned time moving in front of the stars of "the scales". 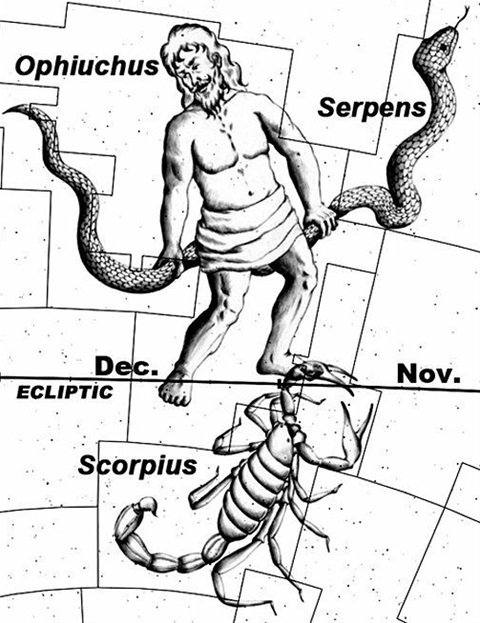 These are the same stars that have imprinted their specific energy, which we usually think of as "the scales", on the last third of september and the two first thirds of october. Their energy in this form was flowing from them onto earth a long time ago, where they started to take effect through the seasons, in one way on the northern hemisphere, in another on the southern hemisphere. In our days the time has come to also seek the stars in the position to sun and earth, which they actually have moved onto now, and connect to the twelve groups of spiritual beings through a meditation on the sunlight, preferably around sunrise. You can of course do this directly without any guiding thoughts or pictures. Here are neverthless given some thoughts, which are developed from ideas of Rudolf Steiner, which according to him came out of a spiritual communication with Christian Rosenkreutz. We are used to imagine our solar system in the form it has now, exept when we hear about the more or less well founded scientific speculations about very old times. And when we imagine this early history of our solar system, we imagine it as something that happened long before we came along and of course we focus on the balls of minerals or gasses and not on the vast space in between. In every book you find them in a row with totally wrong distances between them. I once made a modell with a class at school. We had about seventy meters to mirror the distance from the sun to saturn. The big planets in their real relative size were very little, the smaller planets were barely visible when you were standing right in front of them. The enlightened ones of older times imagined the planets as spheres. What we call the planet was a sign for the outer edge of the sphere. What they were most interested in were the various energies within these spheres which they could sense as some kind of music. (Gustav Holst has in modern times composed pieces of music trying to characterize the qualities of the planets and maybe others after him whom I don't know about have done the same). Now - the important thing is that it took a lot of divine work to get these spheres into place, get them aligned, balanced and harmonized. And the even more important thing is that the lives of our earthly souls, our understanding, feeling and the unfolding of our will are born out of these aligned spheres of music and are, inspite of the high degree of freedom we have reached, still connected to them. This alignement is not as static as we might imagine. The forces which align, balance and harmonize are coming from the direction of "the scales" and they are especially accesable to us when the sun is positioned between "the scales" and earth. Find them, sense them and breathe them in during your morning meditation and you will do a lot of good to yourself and all mankind. The energy of the Virgin has prepared the birth of the centered consciousness of modern man with his or her power of enthusiasm, potential for creativity and will to promote change. The Virgin teaches, how to keep a pure heart, how to develop a clear consciousness. The beauty she reveals is of a spiritual nature - while she keeps her distance from all, that could overwhelm the purity of her soul. She inspires mental and emotional discipline. You can feel her presence in Buddha's eightfold path and in the wonderous lines of logic of the great philosophers of the classical antiquity and the middel ages. She creates the space into which the modern selfawareness can be born. She warms and protects her child-to-be-born with her gracefulness, her polite kindness and empathy, until it grows strong enough to meet the vastness of the universe. First then she allows the universe to challenge the child fully and draw out its power. ...through forceful experience towards acting and creating in harmony with the creator. The wonderfully gentle and patient energy of the Virgin is one we can always go back to for protection and purification when the challenges or the possibilities we are facing get too big, threatening our mental, emotional or physical health. Allow yourself to return into this protective shell of sober joy, of gentle growth, of becoming - outside the demands of the world. Soak in this quality through the energy of the sun in this period of the year when the sun is moving in front of the Virgin's stars. Allow the Virgin to embrace you, calm you and wrap you into her sobering protective veil. This kind of meditating the zodiac is said to come from Chrstian Rosenkreutz. It should if possible be done at sunrise to harness the most of the energy coming from behind and through the sun. The cosmic Lion indicates the direction from which the universal forces of courage and strong will flow towards earth. The strong will is especially difficult to set free in the presence. It includes clear goals, consisting of a high vision that seems almost out of reach and achievable minor goals as steps on the way; it includes also assertiveness towards opposing forces from outside and inside and the will to endure..maybe even more than one would ever have thought one was capable of; and it includes trust and admiration of those who have preceded us and have shown us that the strong and courageous will is possible. Those high visionary goals, that can keep us going in hope, love and faith, are only attainable from the divine. The connection with divine goals can in our time not be reached in the same way as in past historic periods. at least it shouldn't. Only those divine beings, whose task it is to oppose the human evolution, would work in a way that doesn't honor the need of modern human beings to anchor their willpower in a higher will by means of their individually gained insights, their freely given commitment. Those divine beings who carry evolution forward at the right pace respect and support the slow maturation of our free will towards them. Many modern ways of interpreting human life make it more difficult to persist, to persevere, to endure. When the goal is to experience as much pleasure and as little distress as possible, the motivation to overcome obstacles, to persevere in spite of discomfort is seriously damaged. In all older mythological or religious views of life, there is clear motivation to stretch oneself beyond ones limits, even to die if necessary. In our days we only see this kind of attitudes where people are depersonalized as members of military, economic, religious or other institutions. Their wonderful will to sacrifice is being misdirected and often abused in the most terrible way. Role models are inspiring and important. Seeing how they have met their inner challenges, their outer hindrances and have overcome them at last, can be quite uplifting and strengthening. It can make our own will stronger, to feel how they gave to the world the contributions that were their heart's highest wish to give - being victorious in the end, after a long journey through self doubt, through being misunderstood and through meeting downright hostility. It is however crucial to remember one thing: Your role models are not you. They might be a lighthouse for your will, and fuel its strength and perseverance, but your highest task in this life is not the same as was theirs. Your contribution to the evolution of life on this planet is unique and relevant for the now. It is connected to you and probably a group of people who share in it. It can't be done by anyone else, and can't be understood by anyone else before it is done. Our time is captured by the idea of the individuals' rights and seems to have lost the idea of individuals' deeds. There is an inner experience of a unicorn bowing in front of a lion. 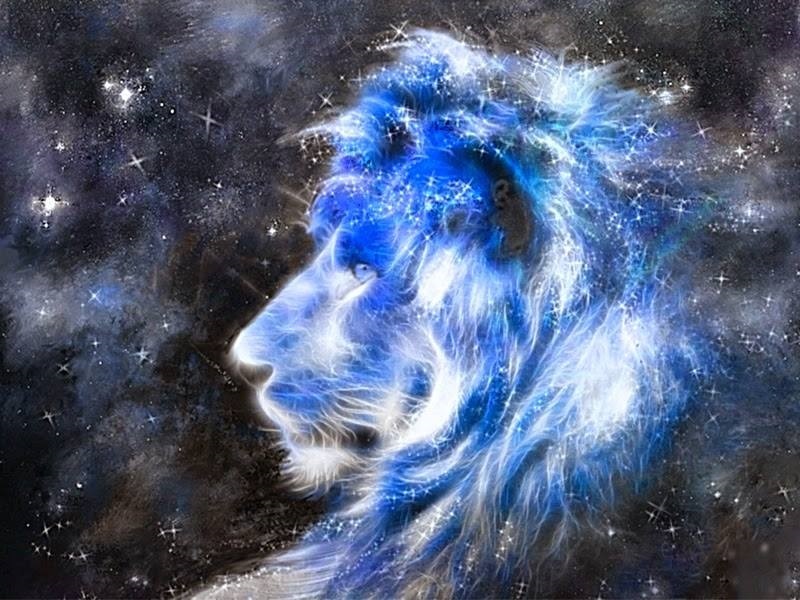 It occurs in the very moment when you have achieved so much security in being the individual self you are, that you are ready to lay down the fruits of your search for yourself at the feet of the lion, joining the powers that govern the evolution of the whole - in courage and with the strongest power of will. Make a meditation out of this or read it in the light of the morning sun in these days when the Lion is backing up the sun. The Cancer is the sign of the emergence of a whole new energy structure within men's natural energy field. For most people this lies still in the future although it is already there or near completion for others. This new energy structure contains higher organs of perception as well as activ processing and creative activity out into the world. Part of it has been formed by nature and has already been activ in ancient times, before falling into a state of slumber. Other parts are in the process of being formed after the long time without the use of higher abilities has given us the opportunity to develop a heart of our own. The new field of formed energies can be described as having mainly two functions. The one is to allow a higher form of perception and taking effect on the world. In a way the organs through which this becomes possible are imprints of the soul who wants to reach enlightenment. The invisible organs, which both are born and reapear at the same time, have been known as the chakras. An example for this is the heart chakra. When we turn our warm enthusiasm, our persistent interest and our best compassionate will towards the invisible side of reality it starts to rebuild itself. When it becomes functional, it gives insights into other people's basic convictions, values and attitudes, and also insights into the way processes and beings of nature contribute to the whole. The maturation of the heart chakra is achieved through nurtering selfconfidence and consequence. They have to penetrate our thinking, the way we ignite and see through our actions, the inner calm with wich we control the expression of our feelings and emotions, our ability to trust and our openness to grasp something new from the life around us. All this has to become our own and has to show regular forms of life. Likewise the throat-chakra gives insights into the characteristic qualities of people's thoughts and ideas, and into the forces of sprouting and withering in nature around us. The throat chakra's development is brought about by building meaningful relationships to the world. This is achieved by exercising accuracy in our perception, realism in our valuation, making our communication meaningful, acting in responsibility, with balance, self-knowledge, and out of experience - and more and more understanding one's place in the world. In simular ways other chakras are developed. The other main function of the forming energy field is to weave the higher organs together to a strong and vital organism. As long as that hasn't happened the field of new energetic forms can be compared to the still unborn child during pregnacy. After a while all is there but the light and life of the soul doesn't fill it yet. To make it all work our deeper self has to find its place in the center of it all, similar to what happens in our natural development from the moment in which a child draws its first breath to the moment when it understands the use of the word "I". Our deeper self unites with this higher organism within the naturally given organism through four stages. It begins when we within the entirety of our lives look for the difference between truth and reality on the one side, fallacy and illusion on the other side. That should be a calm, in a certain way non-judgemental inner process, not us getting all worked up about all the illusions, fallacies and lies in the world. The next stage is the stage of becoming aware of what these different qualities mean for the unfolding of life in the broadest sense and of developing a deep appreciation for the value of the awareness of reality and of the blessings of truth in the way we form our thoughts and words. The third stage is about permeating our whole lives with the insights and the appreciation we have acquired, about making them seriously and consequently our guiding forces, developing an attitude of duty towards them, a duty to follow it through. The last stage demands from us that we are willing to change, that we understand freedom not just as an outer condition, but as the ability to form ourselves creatively in attunement with reality and its inner appearence as truth. Each one of these stages brings the life of the soul deeper into the newly formed organism and completes the development of this organism by giving it an awareness of its border to the outside world. When it is all done the soul shines like a mighty sun from the region of our heart, sending a stream of life to the heart chakra, from which it spreads out through the whole new system, activating its organs, strengthening its borders, like a second skin, and streaming beyond, communicating with the outer world. The wonderous ancient part of this higher organism, with its power source at the base of our torso, is also coming to life again through this process. During this time of the year the sun is covering the twins, or rather breathing the energy of the twins into the relationship between sun and earth. This twin-energy gives the third energy of spiritual development, starting in the lion with an awakening of heart-intelligence that builds a new access to the chakras, binding the chakras together to a whole reawakening energy field in the crab and reaching a quality of spiritual brother- and sisterhood in the twins. Why is this spiritual sister- and brotherhood so important? the urge to evolve spiritually and to contribute to the birth of a society which is built for human beings who have entered a process of spiritual evolution. This third principle must be accessed by our free will, otherwise it stays dormant. A consequence of this is that those, who are entering this field of spiritual evolution, will often be lonely for as long as humankind hasn't evolved further. It is therefor important and a true blessing to meet likeminded people who do understand. To learn how to live a spiritual life is quite a task, and the danger of living in doubt or even giving up, while you in reality are making good progress is there. There are challenges on the way and the support of those, who in their own way are going through the same as you do, is a huge help. It evokes blessings and makes the path easier to walk. This is a phase of evolution only a little part of humanity has reached, but at the same time their numbers are growing, their impact can be felt and they are clearing the way for the whole of humanity in a not so far future. Think of these things throughout the day. Focus on them before you fall asleep and have them in your heart whilst you meet the sunlight in the morning which is conveying the energy of the twins in this period from June 20 to July 20. It will strengthen your ability to find your sisters and brothers in the spiritual effort, and to contribute to the process of mutual support. This way of approaching the zodiac is said to come from Chrstian Rosenkreutz. When meditating the morning sunlight, that is backed up by Taurus, we meet the force of pure creativity. The most natural expression of our human creativity is our speach, our word. While it is an ability we just use without cherishing it much, it is carrying all aspects of human expression: the painter's colors are there, so are the sculpturer's command of forms and the architect's feeling for the wholeness and the details of structures. Music lies under, becoming more expressed in poetry. It moves like a dancer of infinite imagination. Imagine your word would not be just a word as it is, with some but relatively small consequences in most cases. Imagine your word had divine creative power within itself. Through Taurus we look at a future time in our evolution in which this will become true. Our word will become the means of forming our creative forces outwards into the world. The view of that future can inspire us to find our right way towards it, to prepare for it by cultivating the quality and strength of our word, of our expressions in general and thus also of ourselves. We have a lot to learn before our expression can become a part of the creative word of divinity. Diving meditatively into the quality of the sunlight gives us a stronger connection to this process during this periode of time in which the beings of Taurus send their energy through the depths of the sun's warmth and light. Especially in the early yet silent and innocent morning they are speaking quite clearly. This kind of meditative approach to the Sidereal Zodiac is said to come from Christian Rosenkreutz. The ram in nature has two wondrous horns, somehow spiraling inward and outward at the same time. They seem to be ‘listening’ into the infinity of space. 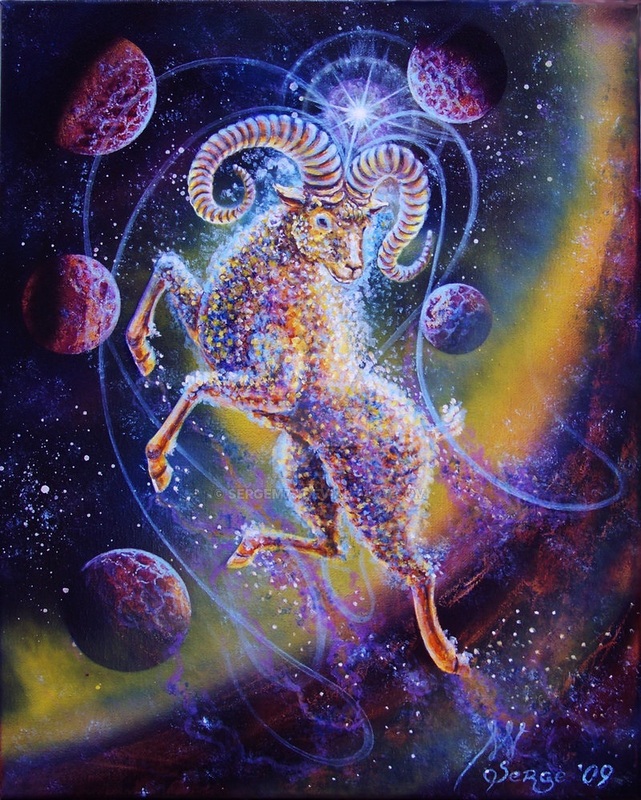 There in outer space the ram seems to absorb an energy of life affirming strenght and eternal renewal.. It is as if the ram was drawing inn this energy through his horns. At the same time, the ram in nature has an incredible earthly strength, courage and readiness to fight. Not only will he stand his ground but he will also attack with a ferocity, that leaves no doubt that he appreciates the value of a good fight and will give every ounce of his power in order to win. The energies of the sidereal "fish" brought us qualities that were at home in the past, at the very beginning of our world. Slowly adapting to the evolutionary needs, while preserving the original divine gift that became our world’s material basis, they still and forever remind us of our oneness with all beings. The energies of the sidereal ram on the other hand prepare qualities, which will be fully in place in the far future, when our evolutionary cycle will reach its completion. The ram’s combination of powerful strength and spiritual awareness will be ours when our evolution on Earth moves towards its end. This combination of concrete action in time and tranquil rest in an infinite affirmation of life, we gain it through the whole process of incarnating in the many cultures that have been and are still to come throughout history. The polarity will be held together by the human heart, that finally will be about to complete its journey towards freedom and freely given love. The suggested meditation is to open up for the quality of light around dawn. The ideas above might give a direction, while perceiving the unique nuance "the ram" is giving to the light of the sun. This way of approaching the zodiac is said to come from Christian Rosenkreutz.